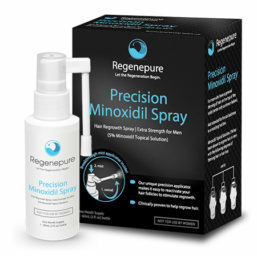 The very first hairs that grow during RegenePure Precision treatment will be fine, soft, and almost colorless. You may even have a difficult time seeing this new growth at first. As you continue treatment, the hair will darken to match your hair color and will increase in thickness.